With the holidays quickly approaching, entertaining will be in full swing. Whether you’re hosting a dinner party for friends or getting your family together for the holidays, you can check off your “signature drink” off your hostess to-do list! 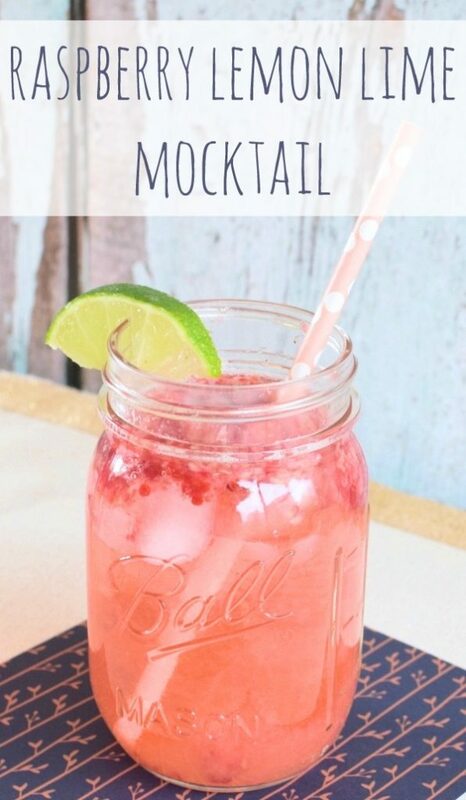 This Raspberry Lemon Lime Mocktail is perfect for fall entertaining and your upcoming holiday parties! 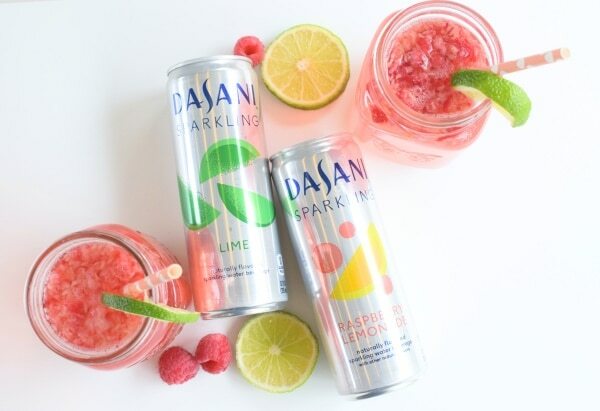 With only a few ingredients and minimal prep time, this signature drink featuring DASANI® Sparkling will be your forever go-to mocktail for events. If you’re the holiday hostess, you spend a lot of time planning your menu for events like Thanksgiving dinner, cocktail parties, ugly sweater parties, etc. If you start planning now, you will be ahead of the game! Since this “signature drink” is non-alcoholic, it’s perfect for everyone! 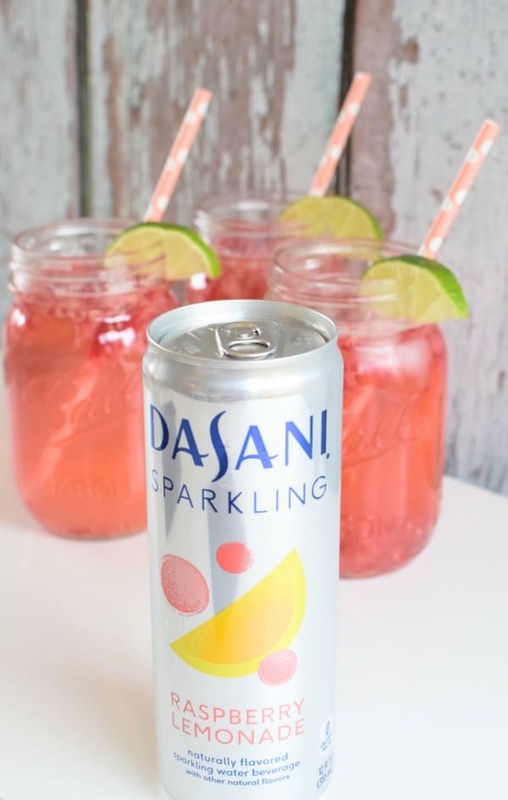 DASANI® Sparkling is the star in this easy recipe and is available in a variety of flavors at Target. 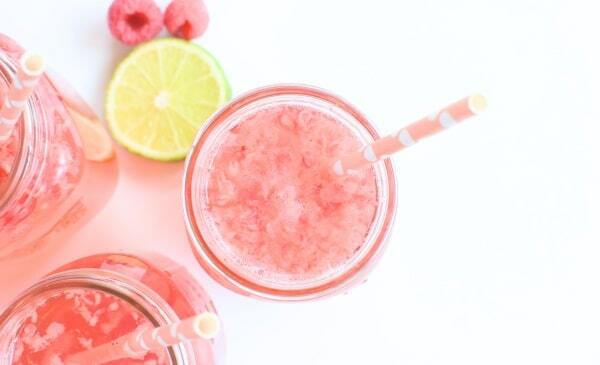 In this recipe, I used Raspberry Lemonade and Lemon Lime. You can also find the new 20 oz. 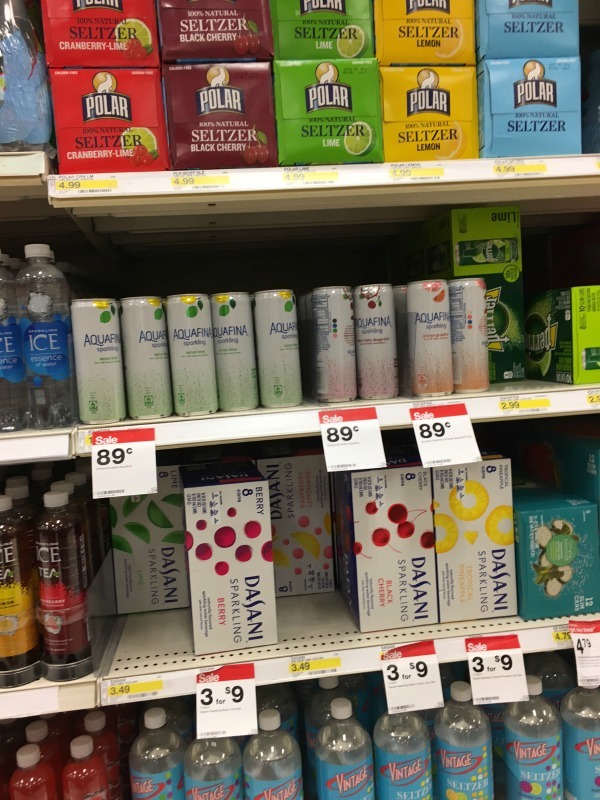 DASANI® Sparkling cans at your local Target in the check out lane. ***Recipe makes 4 mason jar glasses. You will also need a muddler. First, rinse your raspberries thoroughly. Then, muddle 1 cup of fresh raspberries in a bowl with your muddler. Next, take 1 tbsp. of honey and add it to the raspberries. Then set the bowl aside. Next, cut the ends off your lemon and slice in half. Squeeze half lemon into bowl of raspberries. Cut remaining lemon to use as garnish, then set aside. Add 1/2 glass of crushed ice. 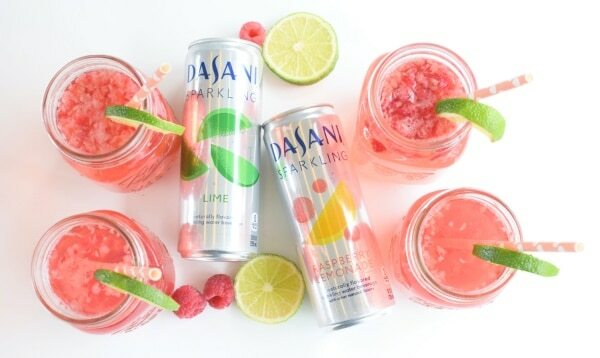 Next, pour DASANI® Sparkling Raspberry Lemonade over ice. Then take muddled raspberries and add them to the glass, stirring gently. Top it off with a splash of DASANI® Sparkling Lemon Lime. 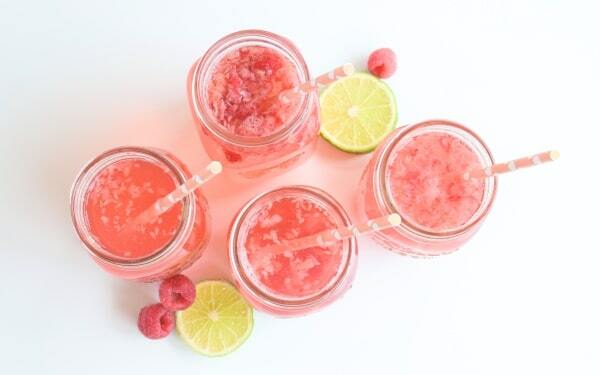 Add raspberries and/or lime to garnish for a fabulous mocktail that’s sure to add a little sparkle to your holiday entertaining! Everyone is sure to enjoy this “signature mocktail.” Better yet … treat yourself to one as your prepare for guests this holiday season. 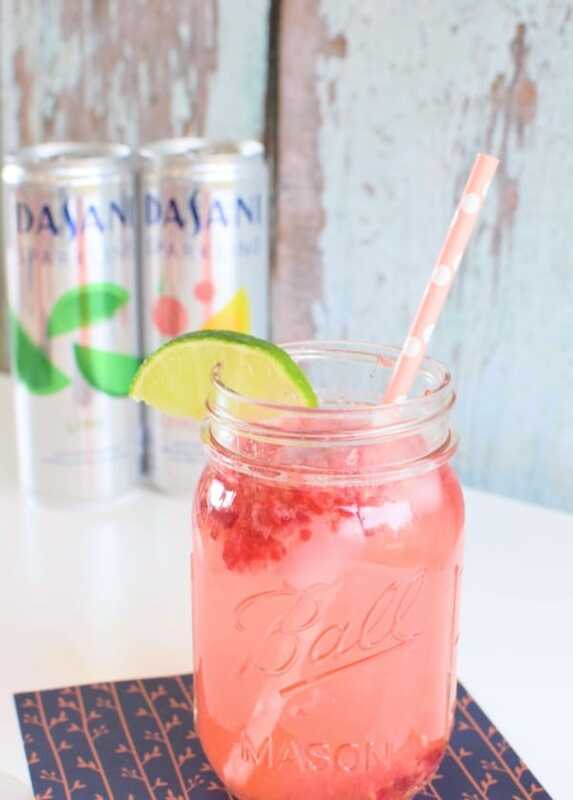 If you’re looking for more fun recipes, check out DASANI® Sparkling Water here and see how others are getting creative this fall with their signature drinks. What a fun drink! Love all these flavors individually and I bet they’re delicious when paired together! Thanks Nicole and thank you for stopping by!